Present Directorship(s): Air Line Cargo Resources Limited, Arrow Aviation Limited, Anyeshan Limited, AVS Cargo Management Services Limited, APS Logistics International Limited, BizBangla Media Limited, Bengal Meat Processing Industries Limited, Colloid Enterprises Limited, Cross Freight Lines Limited, Cross Freight Limited, Datafort Limited, Expo Express Services Limited, Expo Holdings (BD) Limited, Freight Care Aviation Services Limited, First Forwarding Limited, Freight Options Limited, Global Aviation Services Limited, Interairsea Limited, Innoweb Limited, Infosapex Limited, LankaBangla Investments Limited, LankaBangla Information System Limited, LankaBangla Securities Limited, S.G Logistics (Pvt.) Limited, Standard Paper Products Limited, STS Educational Group Limited, STS Holdings Limited, Swift Logistics Services Limited, The M & M Limited, Tropica Garments Limited, UCL Logistics Limited, Uniworld Logistics Limited, Voytech Limited, WAC Logistics Limited, Wings Express Limited, Wings Logistics Limited, Wings Ocean Freight Limited, Wings Aviation Limited, Wings Spence Aviation Limited, Wings Tours & Travels Limited, Wings Classic Tours & Travels Limited. Mr. Moyeen, is a leading entrepreneur in Bangladesh He has a Bachelor of Architecture degree from Bangladesh University of Engineering and Technology. Mr. Moyeen is involved in a number of businesses which include, among others, Apollo Hospitals Dhaka, International School Dhaka, DPS-STS Schools and WAC Logistics Limited. He is also the Chairman of LankaBangla Securities Limited, a leading brokerage house of the country and LankaBangla Investments Limited, a leading Merchant Bank of the country. Present Directorship(s): American President Lines Lanka (Pvt.) Limited, I.W.S. Holdings (Pvt.) Limited. 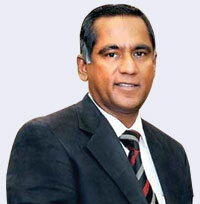 Mr. Senanayake, is one of the Founder Directors of Sampath Bank PLC since March 24 1987. He was appointed as the Deputy Chairman of the Bank in April 1998. He was also the Chairman of the Bank. 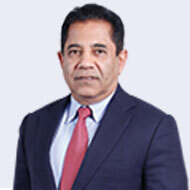 Mr. Senanayake is past Honorary Trade Representative for Singapore Trade Development Board in Sri Lanka, Chairman of American President Lines Lanka (Pvt.) Limited, Chairman and Chief Executive Officer of I.W.S. Holdings (Pvt.) Limited, a conglomerate with diversified business interests in Telecommunications, Broadcasting, Information Technology, Aviation, Shipping, Automobiles, Warehousing and Logistics, Support Services, Consultancy and Project Management Services for Telecommunications, Packing and Food Processing Industries. Academic /Professional Qualification(s): He is an Associate member and a Senior Fellow member of Institute of Bankers of Sri Lanka and holds Masters of Business Administration degree specializing in Marketing from Sikkim Manipal University, India. Present Directorship(s): Managing Director of Sampath Bank PLC, Director of Lanka Financial Services Bureau Limited, a Governing Board Director of the Institute of Bankers of Sri Lanka and a Director of Lanka Clear (Pvt.) Limited. 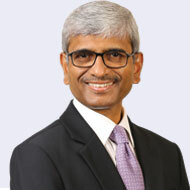 MR. NANDA, is the Managing Director of Sampath Bank PLC. Director of Lanka Financial Services Bureau Limited, a Governing Board Director of the Institute of Bankers of Sri Lanka and a Director of Lanka Clear (Pvt.) 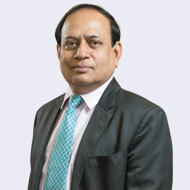 Limited.He is an Associate member and a Senior Fellow member of Institute of Bankers of Sri Lanka and holds Masters of Business Administration degree specializing in Marketing from Sikkim Manipal University, India. Present Directorship(s): Allied Aviation Bangladesh Limited, Air Line Cargo Resources Limited, Airlines Services Limited, Aramex Dhaka Limited, Aeroness International, Anyeshan Limited, Aristeus Agriculture Limited, BizBangla Media Limited, Bengal Meat Processing Industries Limited, Bollore Logistics Bangladesh Limited, Cargo Centre Limited, Colloid Enterprises Limited, Datafort Limited, Expo Freight Limited, Expo Express Services Limited, Eastern Cables Limited, Expo Holdings (BD) Limited, Freight Care Aviation Services Limited, First Forwarding Limited, Global Aviation Services Limited, Interairsea Limited, Innoweb Limited, Infosapex Limited, LankaBangla Securities Limited, LankaBangla Information System Limited, Orchid Air Limited, Masco International Limited, S.G Logistics (Pvt.) Limited,Standard Paper Products Limited, STS Educational Group Limited, STS Holdings Limited, The M & M Limited, Tropica Garments Limited, UCL Logistics Limited, Voyager Airlines Limited, Voytech Limited,WAC Logistics Limited, Wings Spence Aviation Limited,Wings Classic Tours & Travels Limited, Wings Express Limited, Wings Ocean Freight Limited. Mr. Anam, is a Mechanical Engineer from BUET. He has long experience of 29 years in different businesses including Freight Forwarding, Travel Related Services, International Courier, etc. He has been running a number of reputable business houses in country in Management capacity. Mr. Anam is the Managing Director of Expo Freight Limited and Director of a number of businesses and industries. Mr. Anam enjoys enormous reputation in the field of sports, cultural and social work. Presently he is the President of Bangladesh Freight Forwarders Association (BAFFA) and Vice President of Bangladesh Cricket Board and member of the local organizing committee of the T20 World Cup 2014. Mr. Alam, Managing Director of ONE Bank Limited, is an MBA from the Institute of Business Administration (IBA) University of Dhaka. He has diverse experiences 25 in Banking spanning over 31 years, including Corporate, Treasury and Investment Banking in various capacities in different banks and financial institutions. 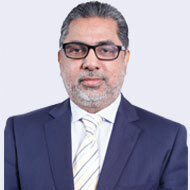 He started his Career at Agrani Bank Limited as an Officer in 1983, and later served different organizations at home & abroad including IFIC Bank Limited and Bank of Credit & Commerce International (Overseas) Ltd. Before joining at ONE Bank Limited, he was the Deputy Managing Director and Head of Corporate Banking, Treasury & Investment Banking of Eastern Bank Limited. 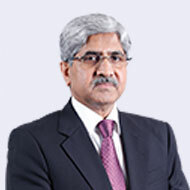 He is serving ONE Bank Limited as Managing Director since October 08, 2013. Mr. Huque, graduated from Williams College Massachusetts,USA with major in Economics and Political Science. 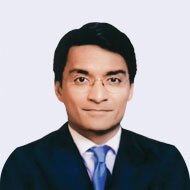 He started his career with Merrill Lynch in New York in 1990 and served the company at different capacities until 2003. He then joined Deutsche Bank as a Managing Director of the Investment Banking Division in London. Mr. Huque has spent many years in Investment Banking, Capital Markets and various management roles at Deutsche Bank in London. In 2016, he relocated to New York with Deutsche Bank in a senior management role. Mr. Huque has established himself as an accomplished investment banker in the international arena. Mrs. Kundanmal, has completed B.A. (Honors) in Public Administration from University of Dhaka and is involved with a number of business houses as a leading woman entrepreneur in the country. She is the Director of Royal Park Limited. She is associated with various social and cultural organizations. She is the wife of Mr. B. W. Kundanmal, a renowned business personality. Mrs. Zaitun Sayef, is an MBA from Institute of Business Administration (IBA) of Dhaka University. She has diverse experience in banking spanning over 30 years especially on corporate finance, treasury and branch banking. 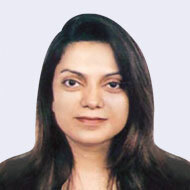 She played various management roles at IFIC Bank Limited. 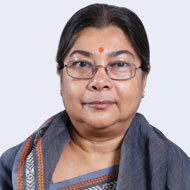 She started her career at Agrani Bank Limited as a Senior Officer in 1983. She attended a number of trainings, workshops and seminars at home and abroad. She had been with IFIC Bank Limited from 1984 joining as Probationary Officer and retired in 2013 from the Bank holding the position of Deputy Managing Director. Academic /Professional Qualification(s):Passed Higher Secondary Certificate (First Division) in 1966 from Faujdharhat Cadet College and completed part-1 of the Institute of Banker’s Examination, Karachi in 1969. Mr. Shamsher started his Banking career with Grindlays Bank Limited in 1966 and carried out various management roles until 1980. He joined Bank of Credit and Commerce International Limited in 1981 where he served in senior positions in Philippines, South Korea and Hong Kong from the year 1981 to 1991. 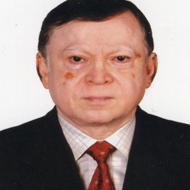 He joined Arab Bangladesh Bank Limited as Vice President in 1992 and retired in 2004 as Executive Vice President. He has diverse experience in local and international banking for over 38 years. Mr. Shamsher attended a number of training programs in India, Philippines, Hong Kong and UK during his long banking career. Academic /Professional Qualification(s): Mr. Shahriar completed his BA (Hons’) and MA in English from University of Dhaka. He also obtained his Bachelor of Business in Banking and Finance from Monash University, Melbourne and Master of Business Administration in Finance from Victoria University, Melbourne, Australia. Mr. Khwaja Shahriar joined LankaBangla Finance as Managing Director on May 21, 2017. Prior to that he was the Deputy Managing Director and Head of Business of LankaBangla Finance since June 2012. Before joining LankaBangla Mr. Shahriar worked in various Banks and Financial Institutions for almost two decades. He served BRAC Bank Limited for almost a decade in different positions and capacity including Head of Corporate Banking, Head of Cash Management and Head of Probashi Banking. He also served in various positions in both GSP Finance Company Limited and Bangladesh Finance & Investment Company Limited. Mr. Shahriar also worked for Uttara Bank Limited, AB Bank Limited and Green Delta Insurance Company. Mr. Shahriar attended a good number of trainings, workshops and seminars at home and abroad including USA, UK, Dubai, Hong Kong, India during his long professional career. He obtained his Bachelor of Business in Banking & Finance from Monash University, Melbourne and Master of Business Administration in Finance from Victoria University, Melbourne, Australia. He also completed his BA (Hons’) and MA in English from University of Dhaka.